After finding the new Sharpie fabric marker, I couldn’t wait to use them on something. 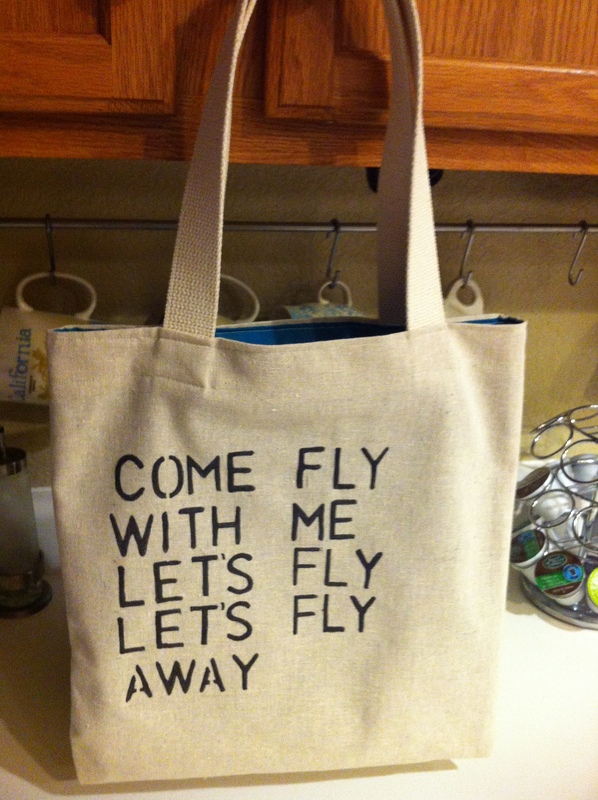 After seeing a similar post at Wit & Whistle, I knew I wanted to print some classic lyrics onto a tote or pillow. 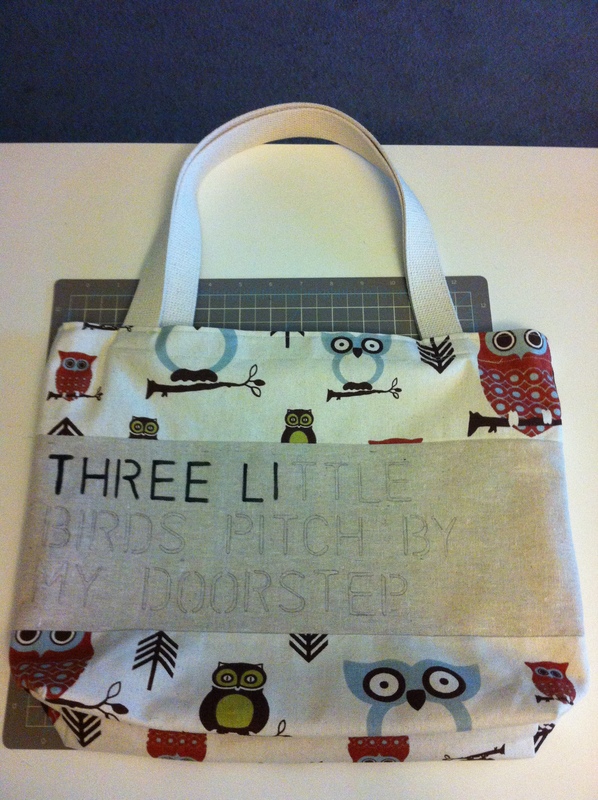 There is nothing fancy about this project I sewed together. 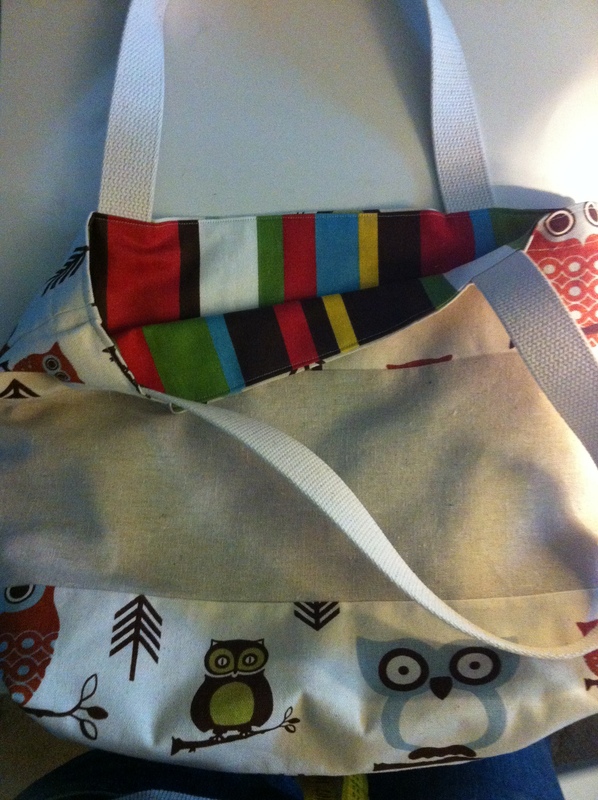 Its your basic lined tote with canvas straps. I used a plastic stencil and traced the words out in pencil first to make sure the spacing was correct. I then carefully went over the letters with the Sharpie fabric marker. It turned out better than I expected and I was ecstatic over the finished product. I sewed up a second bag but this time with a twist. There was some lyrics a sister of mine requested and I had some left over owl fabric that was a perfect match (you might remember my owl throw pillows). For this bag I left the wider side of the 16 x 14 bag open and attached the canvas straps on that side giving it more of a purse feel. For the lining I used an unexpected bold striped fabric. My sister loved the bag and I cant wait to get some photos of her enjoying it.